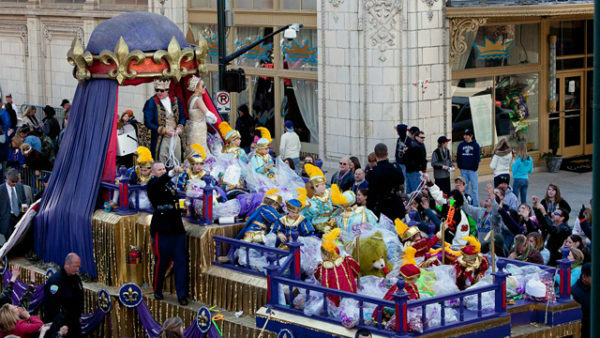 Joe Cain Day is a day-long celebration observed annually in Mobile on the Sunday before Fat Tuesday. Joe Stillwell Cain, a Confederate veteran, is widely hailed for initiating the way Mobile celebrates Mardi Gras. Cain, the clerk of the market, started his own celebration in 1866 by appearing as a Chickasaw Indian chief. According to Mobile lore, his antics marked the first public celebration of Mardi Gras in Mobile since the start of the Civil War and led to larger festivities the next year. In 1867, Cain wore a tall, plumed hat and red knee boots with spurs. He went through town, banging a huge bass drum that he could barely see over. Cain was so funny, the town’s children followed him the entire day. On Fat Tuesday 1868, Cain was followed on Mobile streets by the Order of Myths, and the city’s modern Mardi Gras was well on its way. Joe Cain Day evolved into a kooky, but grand, spectacle that has attracted up to 150,000 or more people to downtown Mobile, filling restaurants and bars and boosting hotel business. Cain was buried in the Church Street Graveyard.